Also, it accounts for the most extensively used secondary foreign language in the world. When interacting in a cross language platform, it is the language most widely and easily used to communicate. Even in India, it is the most preferred language in the corporate sector. All the government notifications, declaration, Gazette information is originally in Hindi but followed by a translation in English. If at a job interview, knowing how to converse in English gives you an instant edge over others who do not know it. Most offices prefer to communicate in it. That briefly sums up the importance of a language like English in present scenario. Now, what if a person can read and understand written English but not speak it? That will make the whole thing futile as communication includes written as well as oral. Yes, it might sound funny but the trick to perfect spoken English is to speak, speak and speak. Practice will improve the pronunciation and vocabulary. It increases your confidence. Do not feel shy to speak wrong but improve it the next time. Effective speaking involves effective listening. To improve spoken English, you need to improve your listening skills too. Listen to people who are speaking in English. Listen to news bulletins and English songs. Learning new words and pronunciations, expressions will improve your dialect to a great extent. The more and more you listen, the more and more you will grasp, learn and improve. Technology to the rescue! When you are not confirmed about a word or how to pronounciate it, then use technology. Google Translate can be used for this purpose. It not only helps you to correct the meaning, context but also its pronunciation. It can be used not only for English but for all other languages as well. No one can teach you better than yourself. Hence to correct your own mistakes, all you need to do is read out the material in English to you loudly and clearly. Read it out, listen to yourself and then correct your mistakes in the next try. 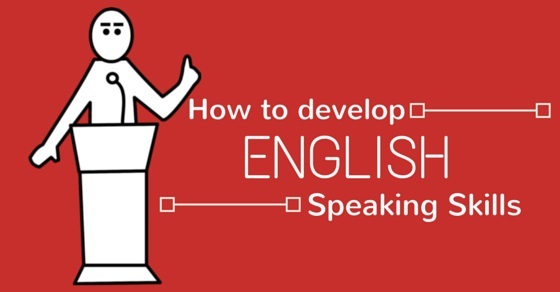 This is one of the most effective ways to improve English speaking skills. Doing this for 15-20 minutes daily is more than sufficient. English movies are a great source to perfect the language. Listen to how they speak the words, the inference and their expressions. Just imitate them and have fun with it. You can even build your own story around the characters. In vacations, the teachers used to give one homework for sure- read the dictionary and learn few new words every day, like five new words every day. It sounded boring but was a great source of knowledge. You can do it even now. If not five, learn and use at least one new word every day. Also, practice how that word would be used in different sentences, inferences and meanings. Learn the word and then practice and use it in your daily life. Friends are your support system always. Make friends with people who are also learning the language with you or with others who speak better than you. You can practice with them to improve yourself and share notes too. Conversing in daily life will develop your skill drastically. You can take up something that interests you and perks up English at the same time. It could be anything like joining a library, joining a book club or simply a cooking class. Make sure the language of communication there is English and you will enjoy while progressing in your endeavor to better your language too. Just like listening to people when they speak, one more thing that can be done is to observe their mouth movements, their rhythm. Try to imitate them. Repeat what and how they say it and copy their intonation too. People think that if you do not know a thing, saying it fast so that the other person cannot comprehend that you made a mistake is the best way but not in this case. Until you learn the correct intonation and way of speaking, slow down your speech. If you speak wrong and that too in speed, native speakers will have a tough time in understanding what you are saying. Do not worry about the fact that the listener will get frustrated and irritated at your slow speed because making them understand the meaning is more important. Music is soothing but it may also help you to improve your oral skills. Listen to English songs and those with simple meanings and rhythm. Do not think about your native language music when you listen to English songs as each language has its own way of singing. Market is flooded with books on improving English but it cannot be improved by reading alone. When you are looking forward to improving spoken English, opt for audio books so that you can practice pronunciation along with them. If you have difficulty in pronunciation of certain words or in understanding their exact meanings, you can make a list of such words and then consult a person who knows it. The person can help you a lot in such cases by guiding you in the right direction. This is one of the most widely used techniques. Record your own voice when you read aloud any novel, book or newspaper. Listen to this recording and analyze your own mistakes. Compare it with other speakers and then improve in that manner. Learning and perfecting any language is not an easy task nor a one day task. Such things take time and you should be prepared to invest that much time. Keep on practicing and noting your progress. Slowly and gradually, you will notice the difference by yourself. When you speak at your native speed, your brain becomes more receptive and it not only listens more effectively but also picks up the words quickly and remembers them for a longer time. It unconsciously mimics the inflections and nuances of speaking which are difficult to pick up for a non-native. It also reduces your stammering and breakings in between. Apart from above points, there are many small tips that can be of great help in taking the level of fluency to the next level. The foremost thing is not to be afraid of making mistakes. Everyone makes errors but the one who corrects them are the people who achieve something in life. Keep a notebook of the mistakes that you made, the new words you have learned and keep on revising them. Memorize the new words that you have learnt and try to use them as much as possible in new situations. Another thing is not to translate the native language to English while you speak. It not only results in grammar mistakes but also takes away the fluency. Surround yourself with people who speak English and do not be hesitant to listen to criticisms. If people criticize you, it will be for your benefit only. Use words that are simple to use and memorize. Do not go for words that are beyond your current level of comprehension as incorrect words will do more harm than saying the correct word in a wrong way. Give yourself a goal which is long term and do not forget to take breaks in between else it will become monotonous. Set short term goals as well and reward yourself, appreciate yourself when you achieve them. Review your progress and set the next level. Doing these simple things will go a long way in improving your English and you will soon find yourself speaking in a confident, smooth, fluent English.